Have you ever woken up with fear you could not explain, or felt a strange presence that made the hair at your nape rise or even experienced strange occurrences around you? Well, these were some of the promptings that made the well-known paranormal investigators Ed and Lorraine Warren delve into trying to explain the ideas behind spirits, demon hauntings, and supernatural activities. 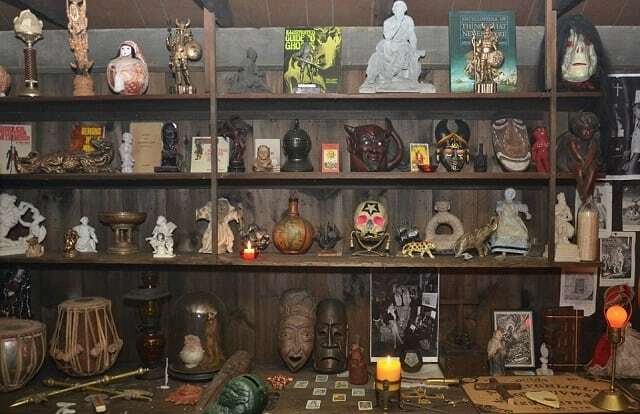 Also the creators of the New England Society for Psychic Research in 1952, they have become famous sharing all they have learned about spirits through the creation of an Occult Museum. Ed Warren Miney was born on September 7th, 1926 while Lorraine Rita Warren was born in January 31st, 1927. They both hail from Bridgeport, Connecticut in America. Lorraine attended the Lauralton Hall, a Catholic girls’ high school in Milford, Connecticut. On his part, Ed Warren at the age of 17, served with the United States Navy during the World War II. Immediately after the war, he signed for painting classes where he learned how to paint. He was also a self-taught demonologist. Their journey into what would make them famous began when Lorraine realized she has blessed with the extrasensory perception ability better known as psychic abilities. The Warrens first began by making paintings which they sold and used the proceeds to start up their Paranormal investigation business. They gradually started gaining entrance to haunted places by presenting gifts of the paintings of the houses they made to the owners of such houses. This helped them get both audience and entrance into the homes for their investigations. As they soon became popular, they were called upon whenever there were outbreaks of phenomena or strange activities and they worked on such projects with other light mediums, clergymen, and the Catholic priests who practiced exorcism. In some of these cases, people, objects and even some of the priests were said to be possessed. In 1952, the Warrens established the New England Society for Psychic Research, with the sole aim of treating possessed people. The society is the oldest haunting group in New England. Ed and Lorraine Warren first met in 1943, at the colonial theatre where Edward worked as an usher. Both only 16 at the time they met, Ed and Lorraine got married two years later with Ed as the only boyfriend Lorraine ever had. The warrens gave birth to only a child, Judy Warren. Much later in life, Judy would eventually marry Tony Spera and they would be blessed with 4 kids. Ed Warren died from a heart attack on the 6th of August 2006, at the age of 79, but his dear wife Lorraine is still alive. She has handed over site inspections of haunted places to her son-in-law who has been actively involved in their work. Here are some of the paramount cases investigated by Warren’s family that caught the attention of the country. Roger Perron, his wife Carolyn, and his family moved to their new home in Harrisville, Rhode Island, unaware of its purportedly deceptive former resident. The country home was once occupied by Bathsheba Thayer and her children, three of whom died young. The tragedy created suspicion within the town which led to the snubbing of Thayer who was mocked and called a Satanist. This led her to hang herself in her backyard. On moving into the house, the Perron’s experienced ghostly communication and appearances, disembodied voices, furniture moving on their own, and spirits playing with their children during their stay in the house. A ghost was reported to have slapped and pinched Carolyn out of jealousy because she exhibited motherly care for her family, and it was also alleged to have touched Roger inappropriately on other occasions. In 1974, the Warrens were invited by the family to help, but their presence worsened the situation forcing the family to ask the Warrens to leave. The findings and experience here were made into a horror film The Conjuring released in 2013. This is the most famous of Ed and Lorraine Warrens investigations. A family named the Lutz family owned a residence in a suburban, located in Amityville, Long Island. Before this family moved into the house in 1975, it was alleged to have had massive murders in it including Ronald DeFeo’s killings of 6 of his family members. The Lutz family would later allege they heard hostile voices, the swarming of flies, levitations, door banging and unseen entities movements. A raggedy doll was purchased in an antique store and given to a young a young lady by her mother. This doll was said to have attacked people in the night at the lodge where the young lady and some of her friends lived. According to reports, it crawled into bed and almost strangled a fiancé of one roommate in the building where they lived. With a number of other similar strange occurrences, the roommates employed the service of a medium who told them that the doll was possessed by the spirit of a dead 7-year old girl named Annabelle Higgins. 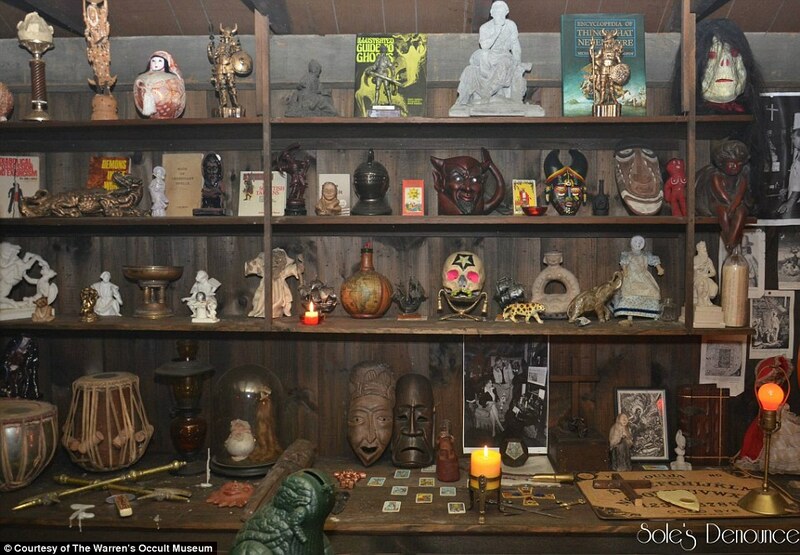 They called upon the Warrens who performed a blessing in the residence before taking the doll into the Warrens’ Connecticut Occult museum. The Trial of Arne Cheyenne Johnson and so on. Though the works of Ed and Lorraine Warren have come under criticism of some skeptical individuals and scientists who felt the facts presented by the Warrens were not real, they nevertheless have shown evidence and won the court case for their clients with their obtained evidence. The works of Ed and Lorraine Warren have been adapted into many horror films, such as James Wan’s The Conjuring in 2013 which the Warrens made an appearance in, The Conjuring 2, Series on The Amityville Hauntings, Annabelle Creations 2017 and The Nun in 2018. They have also been featured in Television Shows and documentaries like the Discovery Channel Series A Haunting, Paramount State, and Scariest Places on Earth to mention a few. Books written on their findings are Ghost Hunters: True stories from the World’s most Famous Demonologist – in 1989 and Werewolf: A True Story of Demonic Possession also by Ed Warren published in 1991.